If a rail network is going to be cared for effectively and inexpensively, the maintenance planning needs a solid basis: a precise analysis of its current condition. This analysis consists of a number of different inspections and measurements that document rail defects, their severity and their exact position. A comparison with the permitted tolerances given in the applicable standards then provides the basis for determining the best possible rail maintenance procedures. Vossloh has inspection and measuring equipment and vehicles including software and training all available for purchase. Or take advantage of the range of measurement, inspection, results analysis and consultation services we have on offer. Find out everything about our products, services and the inspection and measuring methods we use from the information that follows. 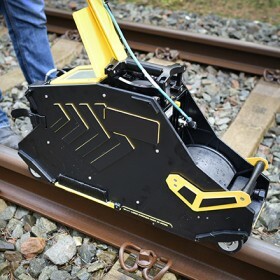 We have the most innovative rail inspection trolley currently on the market available for rail network operators, rail infrastructure businesses and railway industry service providers: the Rail Road Runner. Use it to inspect short sections of track, switches, crossings and stations quickly, simply and precisely. Employing an ultrasonic inspection method to reliably detect irregularities and internal flaws in the rail metal, the system easily detects all types of irregularities such as squats, deep head checks and corrosion in the head, web and base of the rail. The data collected, e.g. B-scans, provides clear documentation of the condition of the rails at the time of inspection, and a service desk is available to answer questions and exchange information. A certified, level III instructor will train you in the use of the Rail Road Runner and the software at one of our Vossloh locations in Berlin, Hamburg or Leipzig. A Vossloh field manager can supervise your inspections upon request. You’re interested in purchasing a Rail Road Runner, or even several? We would be happy to advise you and send you an individual quote. Contact us . 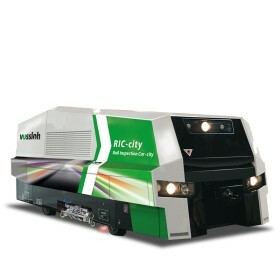 Precision-inspections of rails and turnouts in a single pass and completely in sync with the timetable as well as a recommendation for removing defects – that’s what the RIC-City Inspection Car, which was conceived for network operators, rail infrastructure businesses and railway industry service providers, can do. The machine’s technology includes a 16-probe eddy current testing system that not only detects open cracks in the rail head across the entire cross-sectional profile but their depth and location as well. 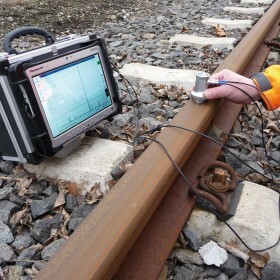 An ultrasonic testing system also detects flaws in the rail’s interior. Any incipient cracks in drill holes, welding flaws and material separation in the rail’s interior are also detected reliably and documented. 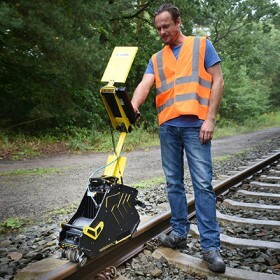 Measurement of the rail’s longitudinal and cross-sectional profiles is also optionally available, and any fastenings that may be missing or cracks in concrete sleepers can be detected using the video inspection systems. All the data that the RIC-City collects and subsequently analyzes can be imported to the software as a results report and displayed in different combinations. Precise documentation and regular monitoring mean that rail defects are discovered and rectified early, which ensures high safety standards for the rail network’s operation and savings in the maintenance budget. You’re interested in using or purchasing an RIC-City? We would be happy to advise you and send you an individual quote. Contact us . 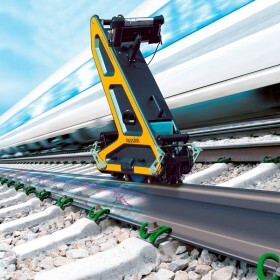 Vossloh employs the most modern testing and measuring technology together with certified, highly specialized personnel who possess extensive knowledge on all the stages of the rail’s life cycle. There’s a choice of various testing and inspection methods to detect irregularities in the rail, and special software is used to analyze and prepare the results for interpretation. Experts then use the data collected as the basis for selecting the most economical maintenance procedure and determining its process parameters. A standard, integral component of rail inspections. Our specialists use their wealth of experience in combination with quick and simple methods to determine the most suitable action. Any abnormalities they notice will then require further testing. An established method for detecting and evaluating surface defects in the running surface and the running edge down to a depth of 2.7 mm. By fully exploiting the probe’s depth range, we can quantitatively determine the crack length and crack depth of head checks very precisely. The most widely used method for detecting internal defects in the rail’s head, web and base. In addition to detecting internal irregularities, our cutting-edge inspection system also detects squats, deep head checks and corrosion in the rail base. Magnetic particle testing can detect cracks or bonding flaws in components that can be magnetized, and is used in particular to test the quality of welds. This new procedure uses a magnetic field and changes in the flux lines to draw conclusions on the size, shape and position of rail defects. The procedure detects cracks such as head checks or squats down to depths of between 0.4 and 5 mm below the rail surface. The contours of the rail head are scanned mechanically and the rail type is identified. The shape of the rail head is then compared with the theoretical profile and any deviations found are quantified. This reveals how much the rail has worn and whether reprofiling is necessary. 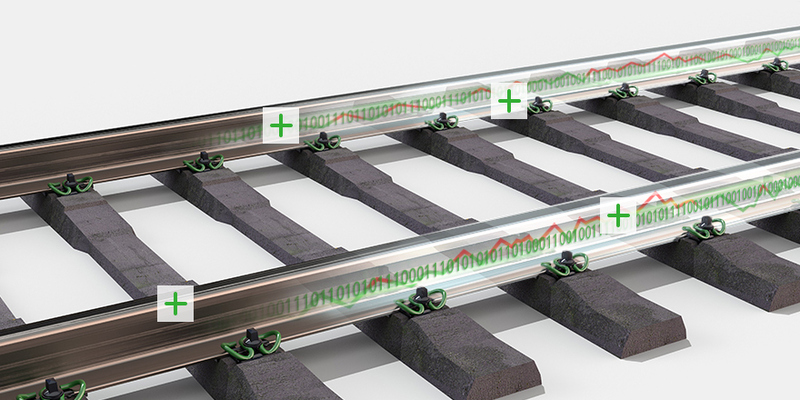 Systems for detecting irregularities in the longitudinal profile of the rail’s running surface measure corrugations with wavelengths of between 10 mm and 300mm either localized or continuously depending on the requirements. Rail and switch parameters such as track gauge, cant, groove width and distortion are continuously measured and recorded. Localized measurements are carried out at several locations before and after the rails are machined. The difference between the measurement before machining and the measurement after machining determines that amount of material removed. Officially approved measuring equipment and a subsequent statistical evaluation ensure high-quality measurements and evaluation of the material removed. You’re interested in our Analysis Services? We would be happy to advise you and send you an individual quote. Contact us. Find out more about our integrated approach to maintenance planning " Smart Maintenance ".